Fanatical, the digital PC game store previously known as Bundle Stars, has posted a massive list of Black Friday 2018 deals that will get you great PC games at a discount. According to the store, there are over two thousand deals, way too many to list them all manually but we’ve tried to handpick the best games we could find on sale. 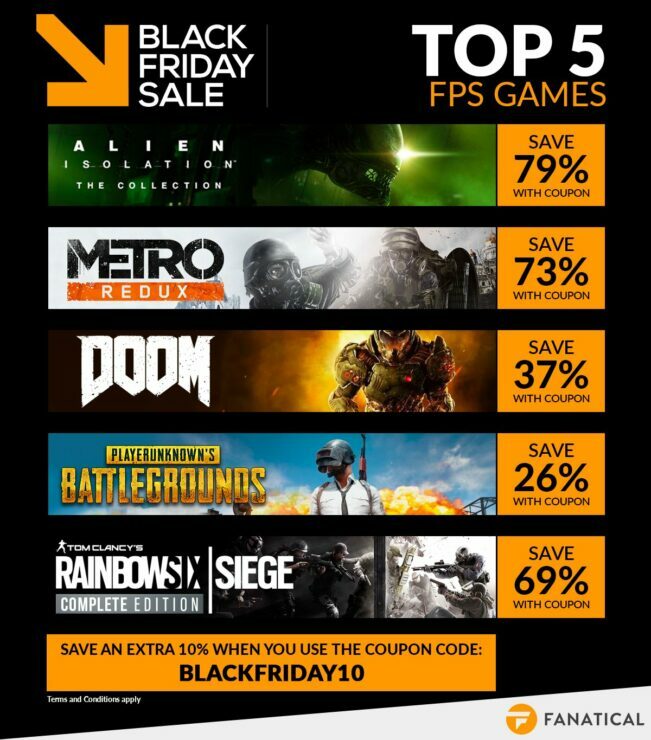 In addition to the discounts listed below, you may use the coupon BLACKFRIDAY10 to take another 10% off your chosen game once it’s in the cart. Furthermore, upon purchasing any game you’ll receive another coupon via email that will discount 15% off your next purchase. Last but not least, if you’re feeling very lucky you could try to join the B.L.A.C.K. F.R.I.D.A.Y. contest. This is due to gift eleven games (worth $550 combined) to the winner: BattleTech, LEGO DC Super-Villains, Ace Combat 7, Cities Skylines Deluxe Edition, Kingdom Come: Deliverance, Football Manager 2019, Resident Evil 2, Injustice 2, Devil May Cry 5, Alien Isolation Collection, and Yooka-Laylee.